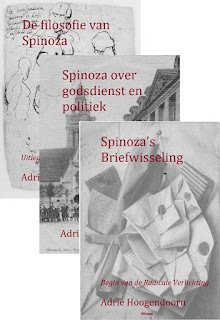 Bill Grace schreef een "Knieval voor Spinoza"
"The ordination ceremony at the First Unitarian Church of Ithaca, New York probably represents the most celebrative collective experience of my life. The military chaplaincy was a great constant from 1978 to 2006 when I was retired. The first chapbook of poetry titled 'The Halcyon Poems' was published in 1976 and the second, 'Snippets of His Glory While I Wait,' in 1996, both were privately distributed. A third chapbook is planned. Today, the impetus to write poetry is an almost daily imperative." Only my desperate need for hope? Alleen mijn wanhopige behoefte aan hoop?